Explore our "GMA" Valentine’s Day guide with DIY ideas, gift picks for your Valentine or Galentine, romantic dinner recipes and more. The couple that works out together, stays together. 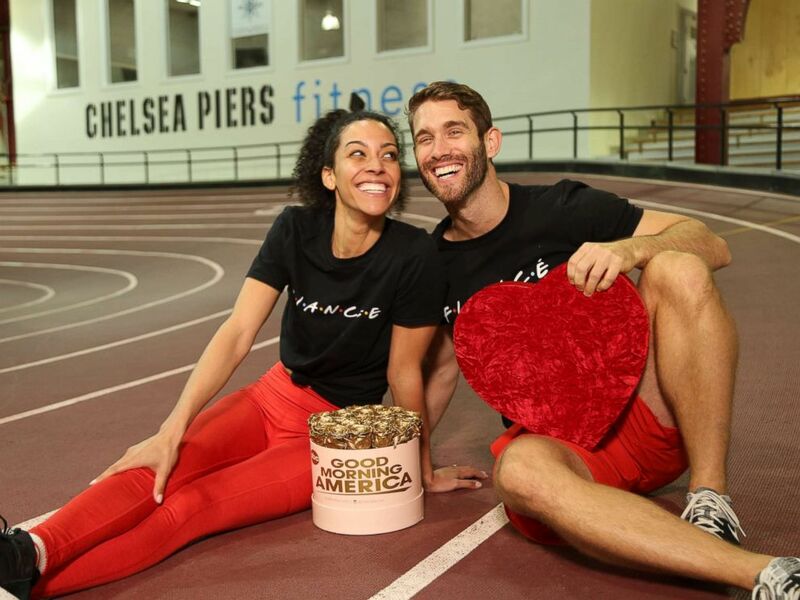 Engaged trainers Bree Branker and CJ Koegel demonstrate a couples workout at Chelsea Piers in New York City. Branker and Koegel created a workout for "GMA" specifically designed for couples to do together. It can be done at home or in a gym. Give it a try this Valentine's Day! Branker and Koegel demonstrated eight partner moves that can be done together in a circuit for a full-body workout or each on their own. Partner one comes up into a sit up. Personalize the move by adding a kiss at the top! Follow them on Instagram -- Bree at @breebranks and CJ at @cjkoegel --and get more free weekly workouts on their website.